Internationalism, Empire and Peace in the Woman Teacher, 1920-1939 points to the importance of the journal the Woman Teacher in creating the NUWT’s independent public political identity and the Union’s place within the wider national feminist movement. Both the NUWT and the Woman Teacher were established in the face of hostility from male National Union of Teachers (NUT) members over whether suffrage and equal pay were admissible professional issues and because of the NUT’s delay in implementing its equal pay policy. 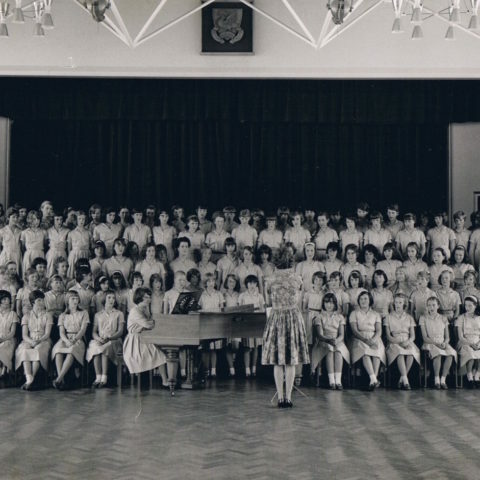 The journal was circulated to the NUWT membership, working in state elementary schools, municipal secondary schools, and institutions training women for the state education system. It was also provided free-of-charge to educational administrators, politicians, and policy-makers. The journal kept its readership informed about the NUWT’s feminist ideals and campaigns, the status and views of women teachers, and ongoing discussion of professional issues around equal pay, equal access to employment opportunities, the removal of the marriage bar, and education for girls. The chapter analyses the journal’s increasingly radical political stance toward internationalism, militarism, and fascism during the 1930 and ways in which articulations of internationalism, peace, imperialism, and anti-fascism revealed dissent among NUWT members, but also facilitated opportunities for journal editors to continue to shape the NUWT’s egalitarian feminist message as the Union negotiated shifting understandings of feminism and rhetoric about married and single teachers linked with the pathologising of spinsterhood. Goodman, Joyce. “Internationalism, Empire and Peace in the Women Teacher, 1920-1939.” Chap. 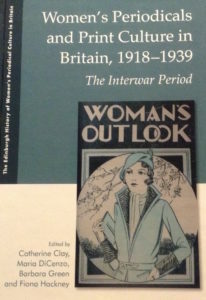 22 In Edinburgh Companion to Women’s Print Media in Interwar Britain (1918-1939), edited by Catherine Clay, Maria DiCenzo, Barbara Green and Fiona Hackney, 348-61. Edinburgh: Edinburgh University Press, 2017.